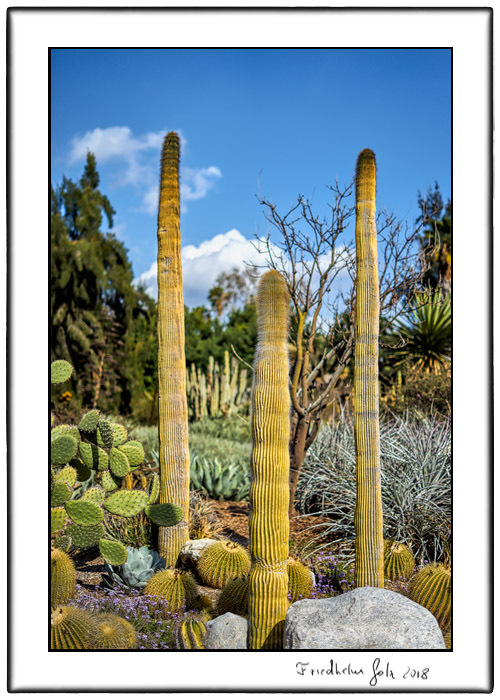 I photographed in a beautiful cultivated desert garden in Southern California. For me desert gardens are fantastic and I feel always drawn to them. They are quite challenging to photograph and it is no fun to slip and fall into one of these cacti, but I am always rewarded with at least one image that I like like this one.